Managing your inventory is the first step to maximizing revenue and profits based on exactly what you have in stock. A true apparel inventory-management software package for wholesale distribution allows you to control each warehouse and view inventory across all locations so you’re never running out regionally or missing the stock local customers demand. As retail operations look into dynamic pricing models and a variety of other data-based cost structures, you’ll need the capability to respond and provide your customers with inventory availability in real-time. The better you can integrate your warehouse with your ERP software, the more likely you’ll become a vendor of choice. As inventory is received into and sold from multiple warehouses, the FDM4 ERP Inventory Control module is constantly updated via the FDM4 Purchase Order and Order Entry modules. FDM4 ERP Inventory Control module is used to make direct adjustments to warehouse stock balances and costs, to transfer and configure items, and to perform physical inventory counts. 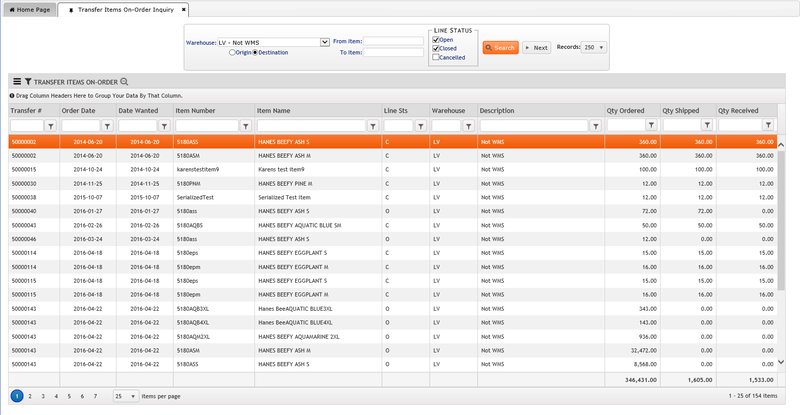 Built-in cross-reference item file to allow each vendor and each customer to have a different part number. This cross-reference file also accommodates customized item descriptions per vendor and customer with different units of measure. Our solution is even robust enough to attach multiple primary and alternate vendors for products, so you can order based on knowledge of past performance plus current pricing schemes. 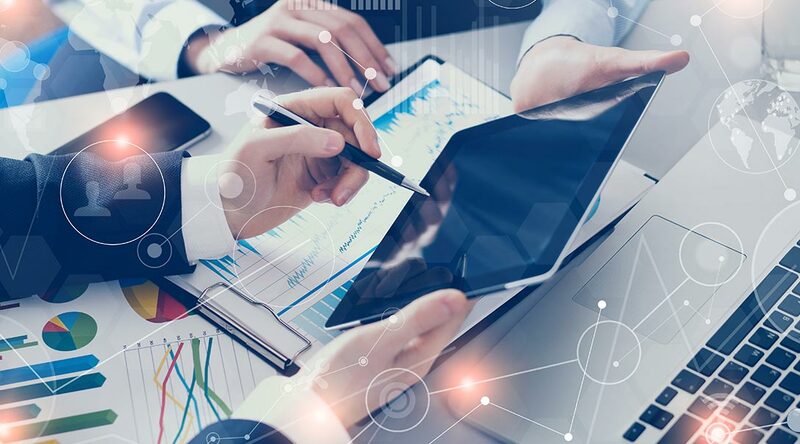 Every layer of data you can collect and add allows you to determine more trends and deeper insights, all of which can help your operations improve on retail’s razor-thin margins. Ability to setup costing to run in one of the following manners: FIFO, LIFO, Standard or Average. The item master file stores the default cost of the product with the ability to specify landed cost and harmonization to be included in the final cost of product when received. Ability to define both inventoried, non-inventoried, as well as non-stocked items. Ability to track sales of non-inventoried and non-stocked items. Comprehensive allocation procedures with maintenance capabilities by item and/or order. Multiple item cross references can be defined for reporting and various transactions. Ability to specify multiple units of measure for a single item to be used in sales, purchasing, inventory, pricing and costing. Unit of measure conversion factors can be specified for each different unit of measure, and alternate units of measure can be defined for each item. Cost reconciliation and posting procedures. Inventory and cost adjustment procedures available. Ability to define a primary and an unlimited number of alternate vendors that a product can be purchased from. Items are assigned a product category that can be used for maintenance and reporting purposes. 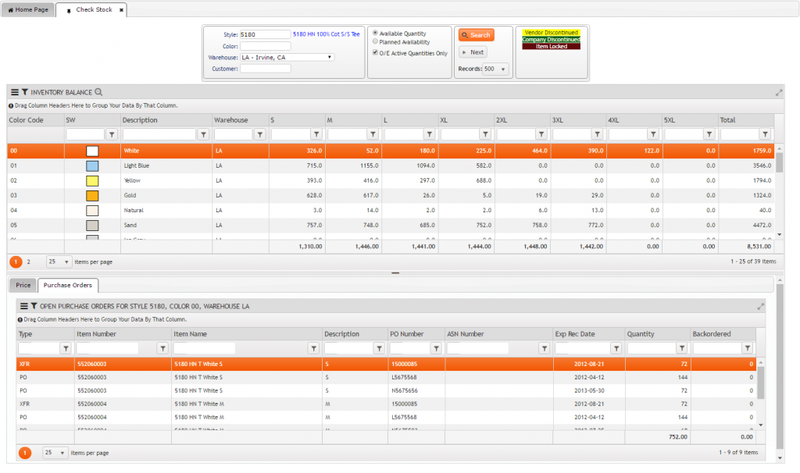 Ability to perform cost adjustments at the item and warehouse level. Attach documents or images to an item that can be viewed throughout the system. Ability to define an unlimited number of price categories per item with up to 10 levels of pricing within each category. Available price contracts to define special pricing which includes sale pricing, closeout pricing, promo code pricing, and discounts. 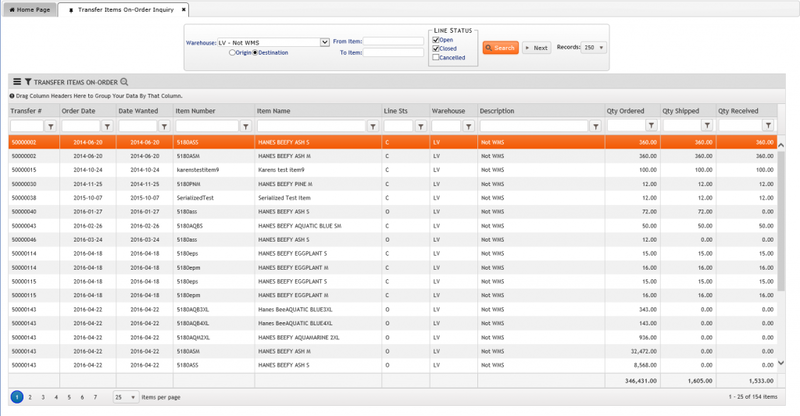 The “warehouse centric” design of the Inventory Control Module allows you to track all Inventory information down to the Warehouse level while still allowing company-wide analysis of your Inventory picture. All inventory information is kept up-to-date in real-time, including inventory balances and all costing, as transactions from the various modules are completed in the apparel inventory management software. All Accounting postings are generated automatically from Inventory transactions thereby increasing efficiency and reliability of financial data. Internal audits and analysis for proper prestaging have never been easier thanks to this apparel inventory-management software for wholesale distribution. Warehouse specific cost layers are generated for goods received and sold for an accurate valuation of inventory at the warehouse and company levels. 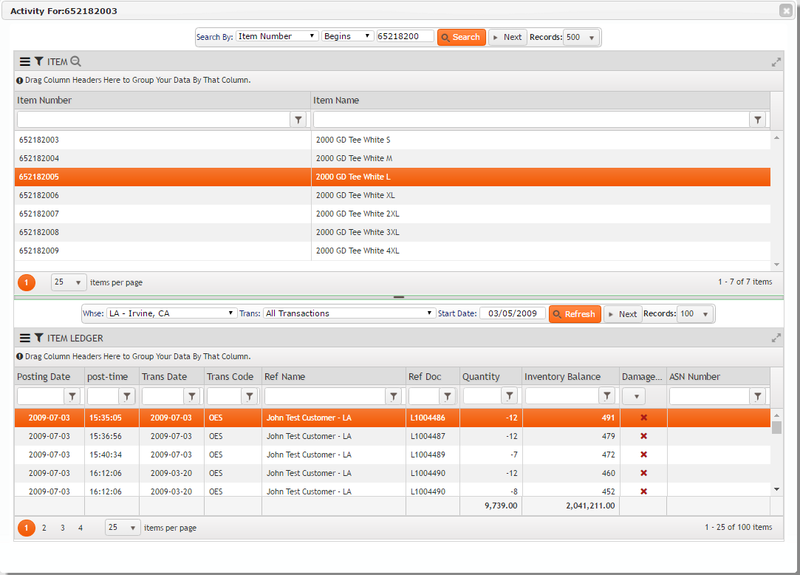 Real-time visibility to key inventory balances such as on hand, committed, allocated, backordered, available, on order, in transit, and damaged. Ability to setup kit configurations for items that are to be assembled in house using component items. Kits can be defined as an inventoried kit or a non-inventoried kit. Ability to handle serialized and lot numbered items. Available physical inventory and cycle counting procedures; with the ability to define automated, daily cycle counts. FDM4 is a true multi-warehouse system with Inventory Control features in a warehouse-centric system. Included in the ERP application is a Warehouse Transfer module that will allow you to manage the transfer of goods between Warehouse locations easily. Effective management of Inventory even between internal Distribution Centers will assist in the ability to ensure that optimal levels of Inventory are maintained to meet the demands of your Customer base. Connect everything for the right visibility within a single wholesale apparel inventory-software solution. Warehouse transfer order procedure to generate movement of goods between distribution centers. Built-in shipping and receiving capabilities for warehouse transfers. Ability to view and report on transactions by either origin or destination warehouse location. The system keeps track of goods in transit while shipping between warehouses. Real-time inventory updates from the warehouse transfer module as goods are transferred. Ability to define item replenishment by warehouse transfer. Costing is retained between warehouses for goods in transit based on consumption of cost layers during shipping at the destination warehouse. In transit balances are visible in real-time; and in transit inventory valuation is included in the warehouse inventory report. The Warehouse Transfer module allows for a Warehouse Transfer Order to be generated and provides Shipping and Receiving capabilities for these transactions. Integration to the Inventory Control module ensures that the costing of the goods is retained between the Origin and Destination Warehouses through the use of Cost Layers. The better you know your inventory, the better you can optimize prices, grow margins and maintain your bestsellers while limiting slower-selling items relative to demand. When you’re out of stock but your warehouse or distribution center has goods available, you’re missing out on sales opportunities. Apparel inventory-management software for wholesale distribution, online retailer’s or brick-and-mortar stores can give you greater control and increase your sales opportunities. Having a robust wholesale apparel inventory-software solution also helps your staff avoid the three deadliest words when your customers ask about inventory availability : “I don’t know.” Nothing makes customers angrier and cancels contracts faster. 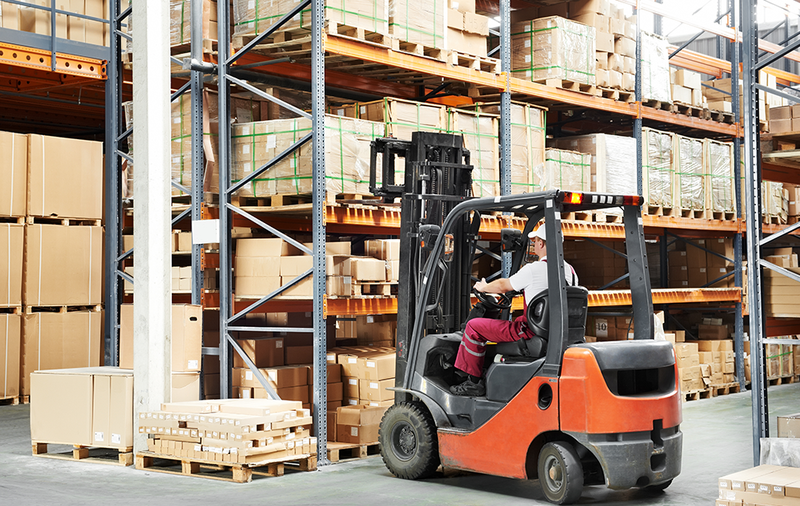 FDM4 WMS consumer goods and apparel-inventory software for wholesale distribution can help you turn your warehousing and distribution center operations into a well-oiled machine. Automatic data updates and management can ensure better order accuracy through proper module integration, all while you know exactly what goods are in each of your warehouses at any minute. Contact FDM4 to learn more about our erp inventory management module for your wholesale distribution requirements. We will help to get exactly what you need out of our WMS software so you can collect the data to drive revenue.